Summer Flea 2013, Here We Come! 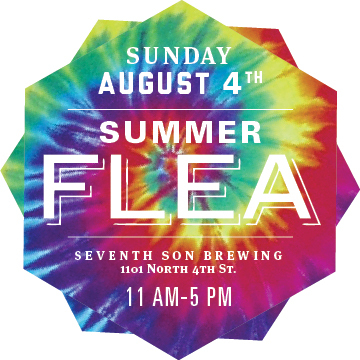 It is our favorite time of Summer, The Summer Flea!!! We will be selling our furniture along with many other vendors who will be slinging their goods. The Columbus Flea is for a great cause–supporting the Mid-Ohio Food Bank!!! Not only that, but it’s located at Seventh Son Brewing Co, so why not drink why you shop!? Best Sunday ever!!! Make sure you come by 1101 N. 4th St. from 11-5 ready to shop, drink, support and have an awesome time. Keep your eyes peeled for our next post with a sneak peek of what we will have for sale at the Flea!!! Hope to see you all there!!! !